Fast track style of planning application process to be considered for large scale mixed use developments? Last week, the Minister for Housing, Simon Coveney TD, announced that he is giving consideration to the introduction of a fast track planning process for large developments on unused land banks in urban areas along with an infrastructure fund for local authorities to support and adequately service such developments. The suggested proposal is based on putting large scale developments in excess of 250 units or more going through the planning application process in 6 months. Applications would be lodged directly to An Bord Pleanala. The existing planning legislation requirements around the public consultation process would be maintained. This is key to preserve the transparency of the planning process but a fixed time line for such applications would bring some much welcomed certainty to developers of such projects as well as providing the much needed stock for the market and house hunters. Other proposals being considered include an infrastructure fund for local authorities to facilitate servicing housing developments with services, build roads and other infrastructure such as bridges. Such a fund would assist in reducing the high cost of development. There would be time limits on such funds so that the projects are delivered in tandem with the housing developments that they will serve. There are many sites that are under developed or lying idle due to lack of services. It will be interesting to see whether the availability of such a fund would have any impact to the calculation of development levies and bond contributions. Another proposal is to grant special powers to purchase unused sites owned by semi-state companies. Semi-state bodies hold significant land banks in central urban areas. Obviously consideration would have to be given to the current environmental status of such land banks to ensure they are not contaminated. Any such remediation works on contaminated land would delay their availability to be developed and add significant cost to the development itself. A case in point is the recent Glass Bottle site which was announced as a strategic development zone but there are now concerns as to gas emissions from the decommissioned landfill site and whether it would pose an environmental health problem to any new development. 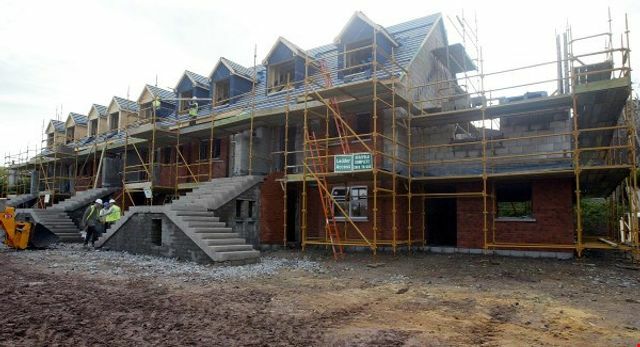 A fast-track planning process for large developments and a special ‘use it or lose it’ infrastructure fund for local authorities are options being considered to help solve the housing crisis, Housing Minister Simon Coveney has said.